Two weeks before harmonised elections the MDC-Alliance has largely remained a talk show of kindergarten stories that have no takers in the adult world, which unfortunately, constitutes the voting college. Back in the village as the 2018 harmonised elections draw near, it has turned out mainly to be a race between a mule and an experienced thoroughbred horse. The horse gloriously took off three months later in steady and sure giant gallops that spoke to nothing, but serious business and quickly overtook the mule, despite the chubby one's strutting and fretting stunts, punctuated with silent farts that rapidly increased in tempo and loudest crescendo as the diminutive one sensed defeat. Those who do not read Zimbabwe's political landscape correctly, indeed gave the mule a chance and today I am sure they can see that it was a figment of their mind. The race is no longer a contest. It ceased to be one the day the horse took off. Today, back in the village, the 2018 election is already concluded and won by Zanu-PF and the July 30 voting is a legal endorsement which will be done in peace and tranquillity. It is a loss for MDC-Alliance. The question is by what margin? In the village narrative, the MDC-Alliance has offered nothing to make it a contenting alternative to Zanu-PF. The MDC-Alliance has largely remained a talk show characterised by kindergarten stories that have no takers in the adult world which, unfortunately, constitutes the voting college. Suffice to say, if elections were to be held today at Early Child Development schools MDC-Alliance presidential candidate Nelson Chamisa would win, for, all his talk belongs there. The Disneyland ales that have become the hallmark of his election campaign are befitting in ECD not the in serious space of nation building and development. Never! For a nation that has been excluded from the greater part of the international fora, It needs serious takers who are strategically superior not kids, still learning the ropes. We need to be speaking to the country's problems and intended solutions and not to kindergarten stuff. Zimbabwe needs serious politicians like President Mnangagwa, who have the depth of character and knowledge on how to have the country re-admitted into the international community for a while at the same time balancing with old all-weather friends and new ones. It is painful narrative for the opposition that has become a grouping of cry-babies, bereft of seriousness, ideas and the depth to remove Zanu-PF from power. Staring imminent defeat. MDC-Alliance has of late resorted to acting as both a referee and a player. The Zimbabwe Electoral Commission (ZEC) has become the Alliance's feeding trough day in day out. The Alliance has gone into overdrive to try and destroy the integrity of ZEC. Seeing that there is no violence to blame Zanu-PF on, there is nothing else to blame Zanu-PF, ZEC has become the main target of the losing MDC-Alliance. Now Chamisa cannot address a rally and finish without accusing ZEC of this and that. Chamisa has become the Neymar Junior of politics. For the benefit of those who don't know Neymar Jnr. He is that Brazilian football player whose hallmark of the 2018 World Cup has been falling stunts and faking injuries and appealing to the referee for free kicks and penalties. The referees ended up ignoring Neymar Jnr. As a result, his team Brazil failed to make it beyond the quarter-finals. Now anyone who fakes fouls is called a Neymar. Neymar abused referees. Chamisa has become the Neymar of politics. He is also abusing ZEC. Chamisa, through lack of political tact and a dearth of thought process, has made it impossible for any reasonable person to take him seriously. He is insensitive to the tenets of national building such as law, relationships, peddling of lies and abuse of democratic processes. Sensing and seeing imminent defeat, Chamisa has turned to destroying the Zimbabwe Electoral Commission. Not that he is stupid, but because he has to save his face. 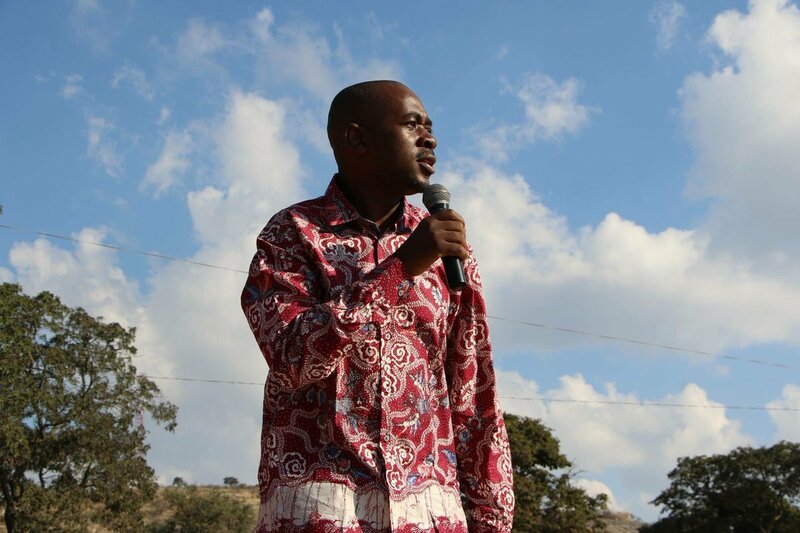 Chamisa is creating an atmosphere for a post-election defeat safe landing. He knows he is losing, but he is creating stories about ZEC rigging as a face saver. Zanu-PF has tactically destroyed every other narrative that made MDC and now MDC-Alliance tick. For years MDC's rallying and survival point was that former president "Mugabe Must Go!" He is gone through Zanu-PF processes, so what? Zanu-PF has re-engaged with everyone in the world and where does it leave MDC-Alliance? Nowhere! The Zanu-PF Government has gone into overdrive to sort the urban roads and infrastructure that MDC-led councils destroyed and failed to maintain. The people are seeing it happen. MDC-Alliance always blamed Zanu-PF for political violence and there has not been any. If anything, MDC is the violent one. Chamisa is surrounded by those rowdy youths and gangsters that he uses to set after dignified people and institutions. The same red-eyed youths are the ones he used to push out Thokozani Khupe and many others from the echelons of party power. Today, Chamisa is using the same youths to abuse ZEC chairperson Justice Priscilla Chigumba. It is a sad story of a politician who instead of facing defeat in a dignified manner. In mature politics defeat should be taken honourably, humanely and responsibly. Chamisa must start preparing for his defeat in a dignified manner.